FANO – Today I would like to share with you a beautiful, passionate post on Fano by Brad Nixon, an American blogger based in Los Angeles I made friends with in the WordPress community. Let’s enjoy a visit to Fano through a different perspective! Grazie, Brad, for writing about a lesser known but beautiful Italian town and for quoting Where Lemons Blossom. 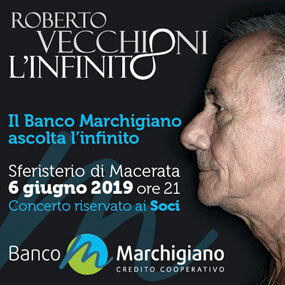 I hope to see you soon in the province of Pesaro and Urbino! This post is a brief look at an Italian city that is worthy of much more exploration: Fano, in the Marche (MAR-kay) region. It’s located on the Adriatic coast. The easiest way for most American travelers to picture it is due east of Florence. Fano is circled in green. 1=Florence; 2=Bologna; 3=Urbino, the spectacular Renaissance city that served as our base for a week of exploring parts of Marche and Emiglio-Romagna. Thousands of visitors throng to Fano, and hundreds of thousands to Italy’s Adriatic coastline because of the beach. Italy’s Adriatic beaches are enormously popular, and this shot gives you only the barest glimpse of the extensive beaches and the associated hotels and resorts that await you if the beach is your thing. For this Californian, one unfamiliar custom is the differentiation between the paid “concessions” area, that includes umbrellas and chairs and the free area, in which you’re on your own.